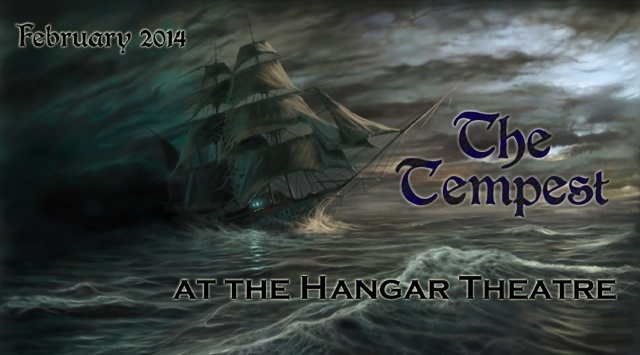 Tickets for The Tempest are available now on our website! There are only six performances, and several shows already have large blocks of seats reserved. So don't wait! Our previous winter shows have sold out quickly. Tickets are available for as little as $10 with discounts, and there are NO service fees when buying online! Join us for an opening night celebration on Valentine's Day, featuring wine tastings from Americana Vineyards, sweet treats from Life's So Sweet Chocolates, and more! Want to see The Tempest for free? There are a few ushering spots still available! Signing up is simple: just go to this page to sign up online for whichever show(s) you choose! ...and we're doing everything we can to make this show a fantastic experience for you! This will be a production you don't want to miss. This class will tackle the tools needed for both mastering Shakespeare's verse and fully inhabiting the text-as-performance. Each student will make an audition-oriented monologue their own, and explore a scene for in-class performance. Plays are about language — poetic, profane, plain or pretty. So audiences need to hear and understand every speech. In this class, you will learn how to breathe fully, release the tensions that limit the voice, and how to articulate and love the words of a play. All adult, college & high school actors serious about the craft are welcome! For more information and to register, visit our website!